This clear Grace Glass Bowl is a necessary part of your bong, used for placing your herbs or tobacco. 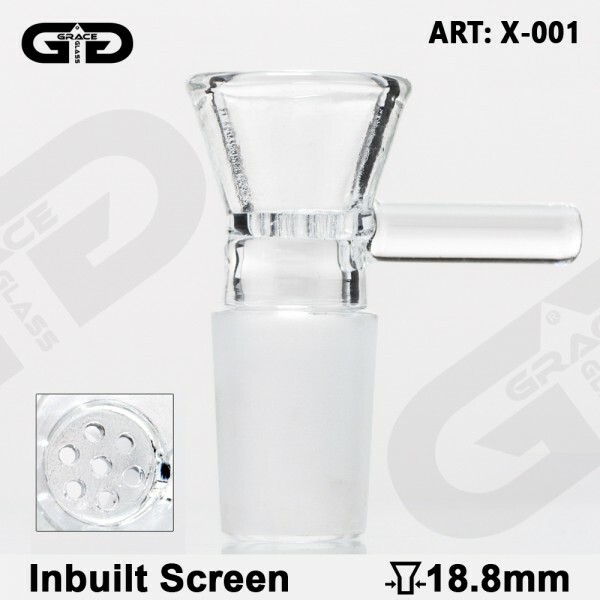 It comes with a sure ground of 18.8mm, fitting any compatible joint. Its unique feature is an inbuilt screen that will help you enjoy your smoking with safety! Plus a handle on the side will help you lift it up and clean it at your ease.